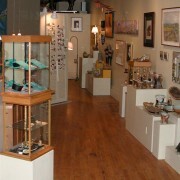 Join the community for an opening reception with refreshments at the BAG Gallery February 5th, 5-7PM. From the quiet of winter emerges much energy and excitement as local students present their art in this annual show. It’s a very special time for students, their families and the community to see their work displayed in a professional gallery setting. Student work is from Barstow Memorial School, Leicester Central School, Lothrop Elementary School, Neshobe School, Otter Valley High School and Middle School, Proctor Elementary School, Sudbury Country School, and Whiting Elementary School. It covers a large assortment of media and shows the quality of the art education in our schools. The Brandon Artists Guild is a big supporter of art education, and contributes generously through community art projects and auctions.